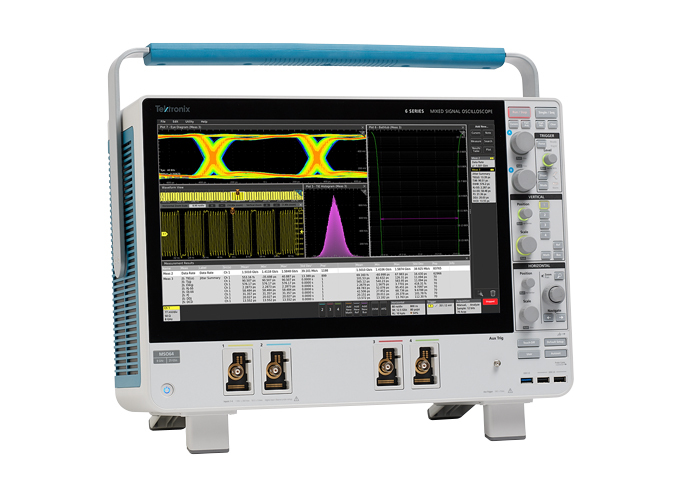 BEAVERTON, Ore., July 17, 2018 /PRNewswire/ -- Tektronix, Inc., a leading worldwide provider of measurement solutions, today introduced the 6 Series MSO mixed signal oscilloscope. The new oscilloscope extends the performance threshold of midrange oscilloscopes to 8 GHz and delivers a 25 GS/s sample rate simultaneously on all 4 channels – an industry first for this class of oscilloscope – to accommodate the needs of designers working on faster, more complex embedded systems designs. 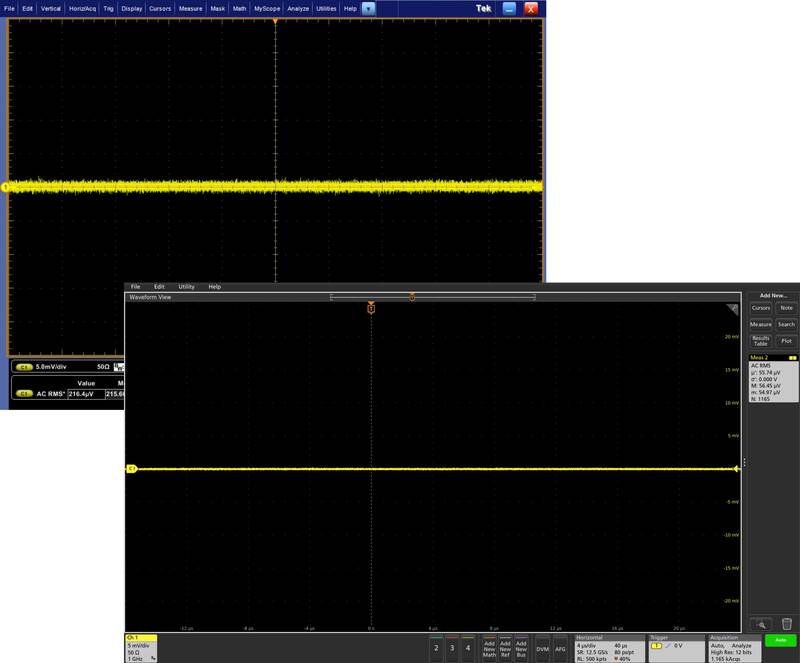 With 25 GS/s sample rate on all channels, designers can accurately now view up to four high-speed signals at one time. 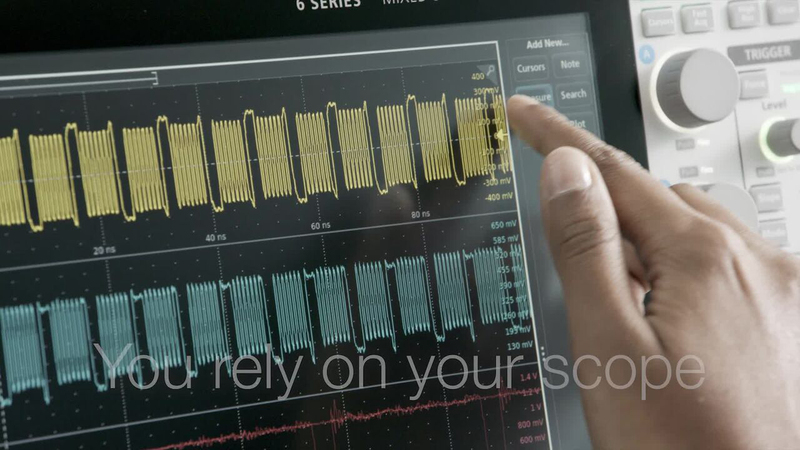 For example, a DDR3 clock and three DDR3 data channels can be viewed and analyzed simultaneously, decreasing the time it takes to fully characterize a design with an instrument that shares sampling systems between channels. The new 6 Series MSO also boosts measurement confidence with its low-noise inputs especially at the highest sensitivity settings where it matters most. For example, modern embedded designs require clean, precisely-controlled DC power supplies to feed ASIC and FPGA devices. For such applications, the 6 Series MSO enables designers to measure DC power rails with more resolution and accuracy, reducing the time it takes to understand high frequency influencers on power rails in a design. Based on the same breakthrough platform as the popular 5 Series MSO, the 6 Series MSO provides easy upgradeability for long-term investment protection. Introduced last year to numerous awards from across the industry, the 5 Series MSO was the result of a clean sheet design. It features a host of innovations that carry over to the 6 Series MSO including a remarkably intuitive user interface, a capacitive pinch-zoom-swipe 15.6-inch touchscreen, innovative FlexChannel® inputs, a 12-bit ADC that can deliver up to 16 bits of vertical resolution, a completely new industrial design, and optional Windows 10 operating system. "The trend toward higher performance in embedded systems is now in full swing with no end in sight," said Chris Witt, general manager, Time Domain Business Unit, Tektronix. "Our customers developing these systems need more bandwidth and lower-noise inputs, but they also still want the usability, convenient probing and compact packaging of midrange scopes. With the 6 Series MSO we're delivering a compelling combination of class-leading performance and usability that will boost productivity and shorten time to market." To meet the need for more insight on faster signals, the 6 Series MSO incorporates a new low-noise preamplifier ASIC, the TEK061, that dramatically lowers noise, especially on signals that are in the hundreds of millivolts peak-to-peak. With its 25 GS/s sample rate on four channels, the instrument delivers 16-bit resolution at 200 MHz when using the High Res mode. 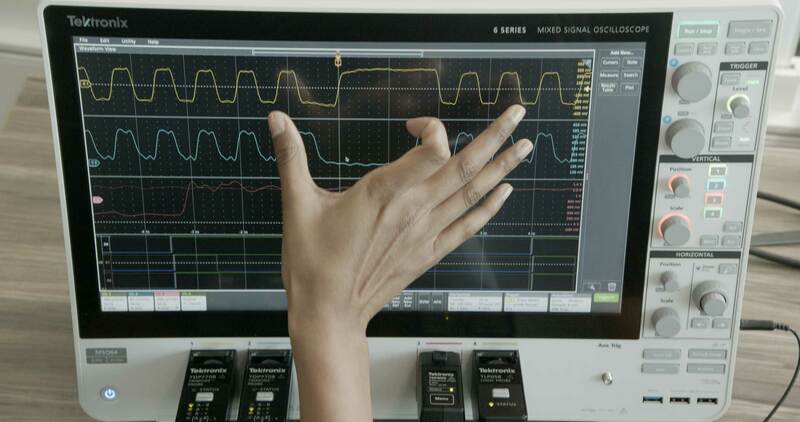 This means that not only can designers see the interfering signals on their power rail, but they can measure them with a level of accuracy, that until now has not been possible on a scope. Like the 5 Series MSO, the 6 Series MSO is highly upgradeable and is available with a built-in arbitrary/function generator, a free DVM and trigger frequency counter with product registration, protocol options, and offers a choice of operating system. Also, like the 5 Series MSO, adding a TLP058 logic probe turns any of the instrument's four FlexChannel inputs into eight digital inputs, providing the most flexible MSO configurations available. The 6 Series MSO also has upgradeable bandwidth, starting at 1 GHz and extending up to 8 GHz with a simple license upgrade. 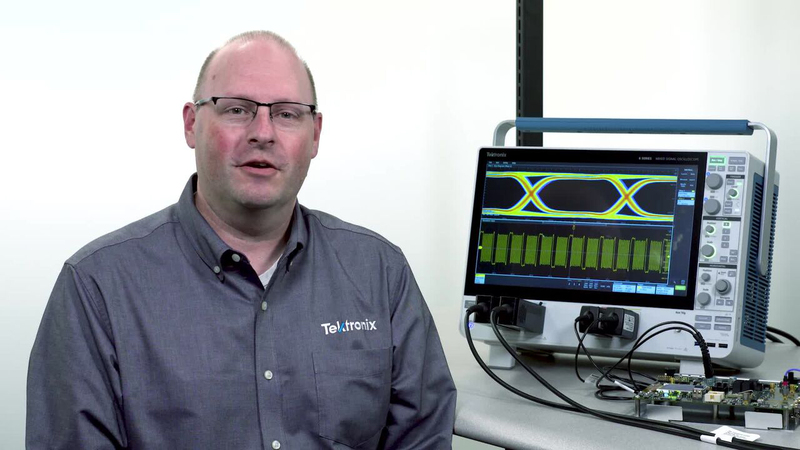 For easier connection to fast signals, Tektronix is also launching a series of new higher performance probes well suited to the performance levels of the 6 Series MSO. The TDP7700 is a series of TriMode™ probes with bandwidths of 4, 6 or 8 GHz. TriMode probes enable engineers to make the single-ended, differential, and common mode signal measurements required for high-speed bus analysis, without moving or changing probes. These probes use the TekFlex™ connector technology which places active buffers at the probe tip for the best signal fidelity while limiting mechanical stress on tiny test points and supports a variety of connectivity methods to the device under test including solder-in tips, direct connection and handheld browsing. Additionally, the TAP4000 and TDP4000 probes extend the range of Tektronix' popular active, single-ended and differential probes, respectively, and now support up to 4 GHz bandwidth. The 6 Series MSO is available for order now with global shipments planned for Fall of 2018. Pricing starts at $23,500 US MSRP for 1 GHz models. The new probes, which will have similar availability, are priced from $6,000 US MSRP.